Fantasy Faire, the Relay For Life Fundraiser event consacrated to fantasy and roleplay, started on April the 21st. You will find all the technical info on the official blog. I apologize for being late in blogging, an awful neck stiff prevented me to spend all the required time in front of my PC. 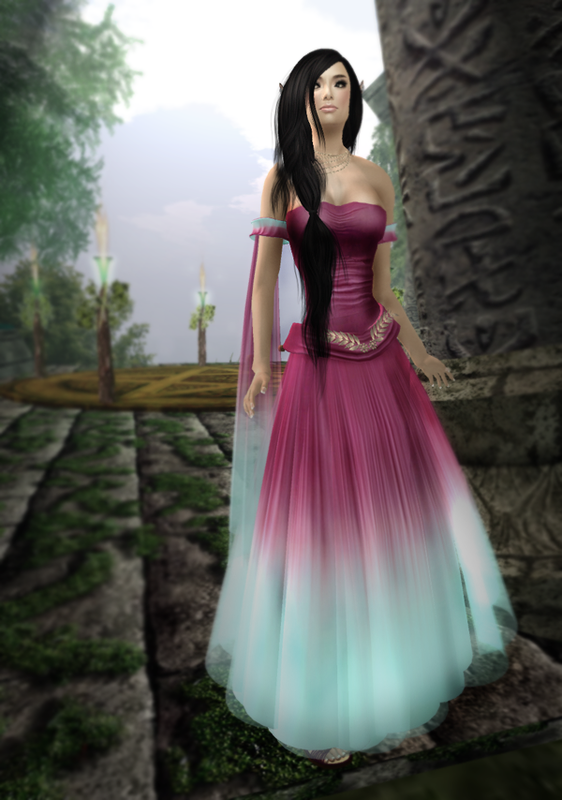 This year, I've been granted the honour to be assigned as a blogger to some of the most popular and amazing fantasy designers in Second Life, I will try to make justice to their awesome creations. Let me show you some donation items from Elvenbreath, all priced 350L. Hair: Wasabi Pills @ FF2012 - Hawk Mesh Hair - new release. Some special colors are available as donation items. Elvenbreath is also offering a stunning PETITE outfit as a donation item, that I will feature soon too. Visit Fantasy Faire and spend for a cause! While you shop, don't forget to have a look at the amazing builds!